Remember you are not just insuring the vehicle but your personal belongings inside that can amount to a considerable value. Taking to the open road in search of adventure and scenic trips across the state of Connecticut and elsewhere is one of the joys of owning a motorhome or recreational vehicle. But your class A, B or C motorhome is more than just an automobile and it needs special coverage that is more than just standard car insurance. To get the most out of your trips in a motorhome or RV think about getting motorhome insurance that fits your specific needs and budget. Because of the unique nature of motorhomes and RV's, they require specialty insurance to keep it covered. Speaking with an agent at Petruzelo Insurance can help get you started on planning a policy that will suit your motorhome needs and be possible with the budget you are working with. Petruzelo Insurance has over 50 years experience helping motorhome and RV owners get the coverage they need to make their recreational cruises and trips more enjoyable. Start asking questions that will help you make better informed decisions regarding the type and extent of motorhome insurance you will need in order to have peace of mind while driving on the open road. Driving a motorhome or RV on a long trip across the country is an exciting experience. It offers an opportunity to see the country, visit loved ones, and make new friends. A motorhome or RV is a major investment. You want to protect it with insurance so you will be covered in case you are involved in an accident while traveling. Many insurance companies offer coverage specifically for motorhomes and RVs. RVs are divided into three classes. Class A includes coaches and converted buses up to 75 feet long. A Class B RV is smaller. This class can include cargo vans, camper vans, and travel trailers. A Class C RV is driven with a standard cargo van and has a camper portion that extends over the cab. What Does Motorhome and RV Insurance Cover? Motorhome and RV insurance provides many of the same coverages as a typical car insurance policy. It will provide collision, liability, and comprehensive coverage. A policy can also cover belongings inside the motorhome or RV and any equipment or accessories that are attached to it. 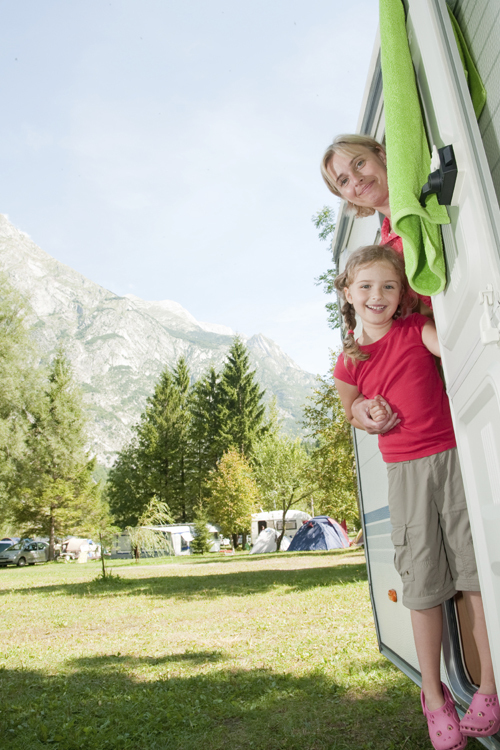 Additional coverage is available to accompany a motorhome and RV insurance policy. You can choose to add total loss replacement coverage, campsite and vacation coverage, coverage for emergency expenses, towing and roadside assistance, uninsured and underinsured motorist coverage, and full-time coverage if you live in your motorhome or RV all year. How Is the Cost of Motorhome and RV Insurance Determined? The cost of motorhome or RV insurance will depend on several factors. A Class A RV is generally the most expensive to insure, followed by Class C. A Class B RV costs the least to insure. The cost of your premiums will also depend on how often you use your RV, your driving record, the limits and deductibles you choose, and any additional coverage you select. Motorhome and RV insurance is required in every state. Before you take to the road in your new motorhome or RV, make sure you have the right insurance so you will be covered in case you are involved in an accident. Petruzelo Insurance can help you compare quotes for RV or motorhome insurance in Connecticut. Contact us today to learn more. Are Your Personal Belongings Covered? When discussing your options for insuring a motorhome or RV in Connecticut, remember you are not just insuring the vehicle but your personal belongings inside that can amount to a considerable value. The agents at Petruzelo Insurance are true to their word and will take the time to listen to your unique needs in regards to insuring a motorhome or RV.